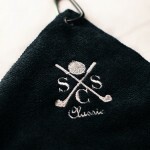 Searching for a golf tournament gift for your golf goody bags? Microfiber Greens Towels are the perfect product for golf outing gift bags. 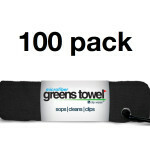 Players appreciate our microfiber Greens Towels and Tournament Committees love our budget-friendly price. Greens Towels are perfectly-sized to meet every tournament golfer’s needs. 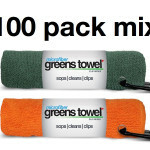 Made from super-absorbent microfiber, each towel comes with an easy-to-use carabiner clip. Tournament golfers always appreciate a new Microfiber Greens Towel as golf tournament prizes. Greens Towels are a favorite prize idea for tournaments of all sizes making them the best golf tournament gifts under $5.00. Buy our 100-pack Golf Tournament Special and receive Free Shipping. Since most tournaments are around 100 participants, our 100-pack is simply perfect. Choose from our great array of colors or mix and match to fit your individual tournament needs. Greenstowel.com is your headquarters for golf tournament prizes and gifts. One of our company missions is to help Charitable Golf Tournaments with their fundraiser prizes. In fact, we have assisted hundreds of Charity Golf Events in securing affordable goody bag gifts for their events. Over the years we have helped church fundraisers, outings for schools and athletics programs, military veterans and wounded warriors events, golf tournaments for various disease-related causes, homeless and children-related tournaments, and many other awesome charity fundraisers. Please go to our testimonials and read our thank you letters. Our associates have served on the golf committees of many Golf Fundraisers so we understand the complexities of putting on a memorable and profitable golf tournament. We have also been in the golf merchandise trade for over 25 years and have great resources and contacts. It is a proper balance from these two perspectives that has allowed us to assist over 500 organizations with their golf tournament gifts. We’d like to lend a hand to your golf tournament as well, but we also realize you need to raise as much as possible for your important cause. You can count on us to be your trusted source for ideal and affordable golf tourney prizes. We will do everything possible to help you maintain the perfect balance of not exceeding your budget or underwhelming your participants. Microfiber Greens Towels offer 7 times the absorbency and 3 times the wicking power of cotton. They are stain-resistant, and have anti-microbial characteristics that render them odor-resistant as well. Microfiber dries faster and requires less maintenance than cotton. Golfers like not having that “mildew odor” in the car after their round. 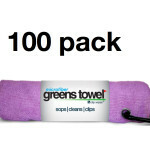 Professionals that clean for a living use Microfiber Towels because of their superior performance to obsolete cotton. Greens Towels are “The Convenient Microfiber Golf Towel”. 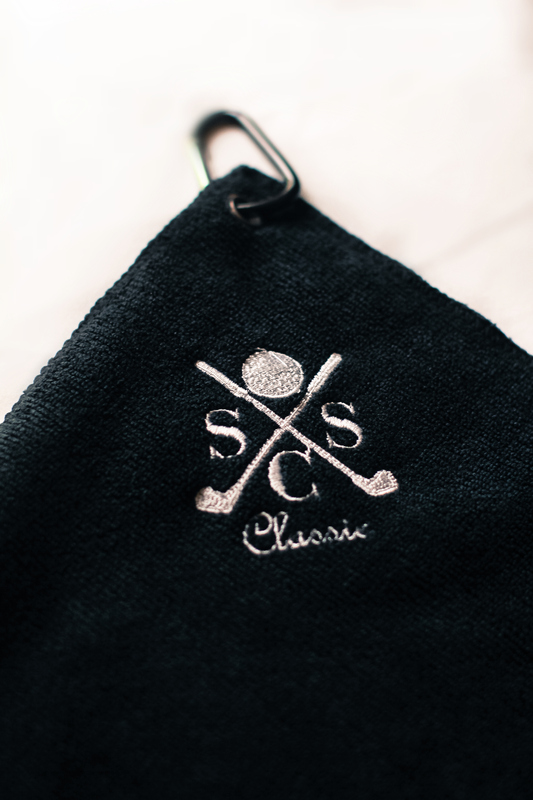 Sized at 16″ x 16″, every golf towel comes with an easy-to-use carabiner clip. Our 325 gsm (grams per square meter) microfiber fabric is soft, plush and extremely durable so you can wash and re-use often. Our rich color palette is golfer-centric, with a combination of traditional dark and pop fashion shades.